I have been searching for a BB cream that had a bit more coverage. I know BB creams are only supposed to provide sheer coverage but a girl can dream right? I have freckles. Lots of them. I have had them my whole life. I used to hate them but now I have accepted them. They start out red and then ‘darken’ to a soft brown and then eventually fade. But I am still looking out for a primer or preferably a BB cream that will counteract the red freckles so it doesn’t look like I have rash on my face when I am not wearing a full coverage foundation. One afternoon I wandered into my local Shoppers Drug Mart beauty boutique with the intent of trying a drugstore priced BB cream but I got talking to the consultants and decided to try smashbox. 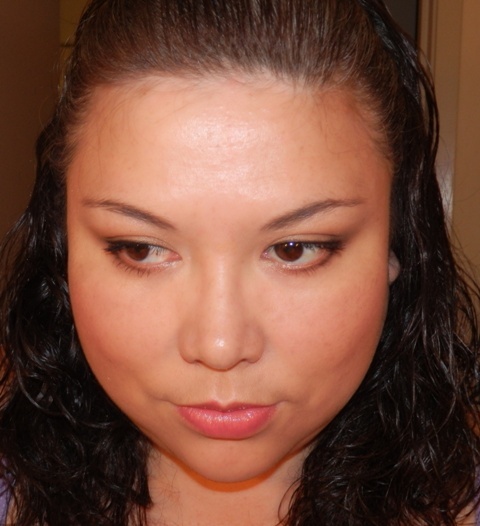 They did one half of my face in the smashbox Sheer Focus Tinted Moisturizer SPF15 for 50ml ($35cdn) and the half in smashbox Camera Ready BB Cream SPF35 for 30ml ($50cdn). PRIMES: Wear alone, or under your favorite foundation to create a smooth canvas. PERFECTS: Tinted formula in 5 shades evens out skin for a flawless finish. 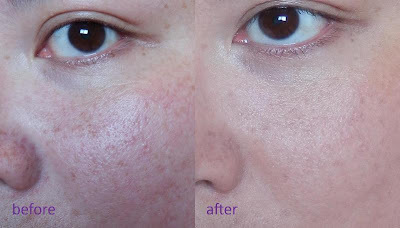 HYDRATES: Improves skin moisture in 4 weeks. Guaranteed. The smashbox BB cream actually had better coverage than the tinted moisturizer and it blurred out my red freckles much better. I was impressed with the product but not the price. $50! WOW! But Shoppers was having a promo; if you buy the smashbox BB cream you get 8000 Optimum points ($10 off your next purchase) and since it would have brought my total purchase over $75, I qualified for the weekly promo where I got a $10 coupon for my next purchase. So basically I would get $20 off next time. Yeah I got it. But I also got a sample to try at home first just in case I changed my mind and wanted to return the BB cream. Well, I didn’t change my mind. I loved it! The smashbox BB cream has almost a medium coverage. It blurs my red freckles, fine lines and large pores beautifully. Since my skin is on the dry side, I still moisturize underneath this BB cream. I think it could be worn alone with people whole have oily or normal skin. I found it to be a little on the thick side, sort of like the Garnier BB cream consistency but it doesn’t feel heavy. A little goes a long way; a pea-sized amount is enough for the whole face. Since it is on the thicker side, you do need to apply this in sections at first, then smooth it overall. I find using my fingers to initally apply and then smooth it out with a buffing brush works wonderfully. Once it set, I was left with matte glowy finish. As long as it isn’t 30⁰C outside, then I do not have to really worry much about oil control. But I did notice that this BB cream does not hold up to ‘perspiration’ very well. During a few really hot days, 30⁰C+, I had some streaking around my temples. But it patted right back into place like I just applied it. So no power walking on hot days! LOL. Of course the higher SPF value a BB cream has the happier I am! I have been wearing this BB cream almost every day for the past three weeks and I have not broken out from it. I did break out from some facial moisturizer I used from one of my beauty sub boxes. You can see a few little bumps on my face in the before picture. L I think the BB cream actually helped cover up the tiny pimples quite easily. I do think I am going to have to go down a shade soon. I am going to lose any colour I gained from the summer quite fast and I think the Light Medium shade I chose will be a tad dark for me. There are five shade to choose from; Fair, Light, Light Medium, Medium and Dark. 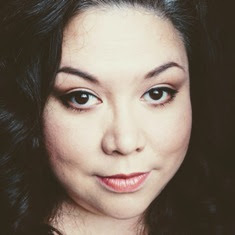 To get my face ready in the mornings all I do now Is moisturize, put the smashbox BB cream on, then put a little concealer under my eyes and around my nose and finish off with light application of my MAC MSF. I find a have great coverage and have a healthy glow from this BB cream. What is your favorite smashbox product? It really does even out your skin tone! You look positively "smash"ing! LOL thanks Jayne. It is a pretty darn good 'BB cream'. You should get a sample at SDM or Sephora and give it a go!